Wimbledon: 'Not fair' to seed Serena Williams says Dominika Cibulkova. It “would not be fair” for seven-time champion Serena Williams to be seeded for Wimbledon, says world number 32 Dominika Cibulkova. The 29-year-old will not be seeded if the ex-world number one – currently 183rd in the rankings – is seeded. Williams, 36, has called for players returning from pregnancy to have protected seedings as well as protected rankings. She added: “I think it’s just not fair. I have tried and I should be seeded. If they put her in front of me then I will lose my spot that I am supposed to have. The decision on seeding will be announced at 10:00 BST on Wednesday. Williams has played only three tournaments in the past 12 months, having given birth to a baby girl in September. Cibulkova has twice reached the quarter-finals at Wimbledon. Britain’s Dan Evans failed to reach Wimbledon after he lost 6-0 6-3 to Matthias Bachinger in the tournament’s second qualifying round at Roehampton. Evans, 28, was beaten by 31-year-old German Bachinger, ranked 150 in the world, in one hour and 10 minutes. The Briton, who returned in April after a 12-month ban for taking cocaine, was not awarded a Wimbledon wildcard. The All England Club’s decision last week was said to have been taken on a matter of “principle”. Evans had already played three matches in a pre-qualifying event before a first-round qualifying win over Ilya Ivashka of Belarus on Monday. And there were signs of fatigue as Bachinger ‘bagelled’ Evans in the first set on court 16 at the Bank of England Sports Centre. Evans recovered from an early break in the second set but, at 4-3, Bachinger forced a second break before he served out for the match. Birmingham-born Evans’ defeat means the only British player left in the final round of qualifying for Wimbledon’s main draw is Jamie Ward. Former British number two Ward, 31, beat American Bjorn Fratangelo 6-4 6-4 to secure a meeting with world number 141 Alexander Bublik of Kazakhstan. Elsewhere, Lloyd Glasspool suffered a 7-5 6-4 loss to veteran Frenchman Stephane Robert while Alexander Ward was also knocked out after a 6-2 6-2 defeat to Australian Alex Bolt. It was a difficult day in singles qualifying for Great Britain’s women as they were all eliminated in the first round. A battling display from 15-year-old Emma Raducanu saw her take a set off Barbora Stefkova of the Czech Republic but she went on to lose 6-4 7-5 6-2. Freya Christie lost 6-3 6-3 to Slovenian Tamara Zidansek while American Nicole Gibbs won 6-4 6-4 against Francesca Jones. Russian Vitalia Diatchenko eased to a 6-1 6-1 win over Sam Murray and Romanian Alexandra Dulgheru dropped only one game in her 6-0 6-1 success over Holly Fischer. Maia Lumsden lost 6-2 6-1 to India’s Ankita Raina while Tara Moore was beaten 6-2 6-4 by Irina Bara of Romania. Elsewhere, former Wimbledon finalists Sabine Lisicki and Eugenie Bouchard had mixed fortunes in their qualifying matches. Canadian Bouchard beat China’s Zhu Lin 6-0 6-2 but German Lisicki lost 6-4 7-6 (7-4) to Russia’s Anna Kalinskaya. Aussie Bernard Tomic, 2011 Wimbledon quarter-finalist, is a match away from qualifying for the 2018 edition of The Championships, which begin on Monday. The 30th-seeded Tomic dismissed Tomislav Brkic of Bosnia and Herzegovina 6-2, 6-4 to move into the third and final round of qualifying. The 25-year-old Tomic will face second seed Ruben Bemelmans of Belgium for a spot in the main draw. #NextGenATP American Michael Mmoh has never played at the All-England Club as a professional but he advanced to the final round of qualifying 7-6(3), 4-6, 6-0 against 27-year-old Egyptian Mohamed Safwat, who made his Grand Slam debut by qualifying at Roland Garros. Frenchman Nicolas Mahut, who won the 2016 Wimbledon doubles title with countryman Pierre-Hugues Herbert, won’t be making an appearance in the singles main draw. Chile’s Christian Garin beat Mahut 6-4, 5-7, 6-2. In other action, German Matthias Bachinger dropped only three games against Brit Daniel Evans 6-0, 6-3 to advance; Austrian Dennis Novak needed only 67 minutes to upset 21st seed Donald Young of the U.S. 6-2, 7-5; and German Dominik Koepfer came back to beat sixth seed Gerald Melzer 2-6, 6-4, 6-2. Andy Murray is keen to play at Wimbledon as he steps up his comeback against Kyle Edmund at Eastbourne, according to coach Jamie Delgado. The 31-year-old Scot will play his third match after nearly a year out of competitive tennis with a hip injury. Edmund, 23, has taken over as British number one during Murray’s absence. “In terms of Andy wanting to play, it’s 100%. 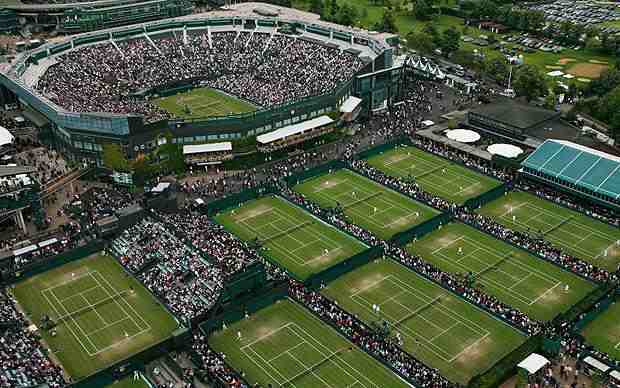 Wimbledon is the biggest event of the year. The desire to play is huge,” Delgado told BBC Sport. Murray’s spell on the sidelines has seen him slip down to 156 in the world rankings. Edmund has moved up to 18th with an appearance in the Australian Open semi-finals in January the highlight. The pair have played each other twice previously in ATP Tour events with Murray triumphing on both occasions. Their first meeting came at the quarter-final of Queen’s in June 2016 when Murray won 6-4 3-6 6-2 en route to winning the tournament before his Wimbledon success the same year. They met again in October later that year at the China Open when Murray triumphed 7-6 6-2 in Beijing. Delgado, who practised with Murray ahead of the match on Centre Court at Devonshire Park, acknowledged that while his return has to be carefully managed, it will be hard to curb his natural instincts against Edmund. “Andy is a huge competitor. Does he want to win the match against Kyle Edmund? Of course he does,” he said. “We have to keep it real and keep performing, working on his game and looking to be aggressive. “Andy has been incredible applying himself to every single stretch from a physical point of view. He’s been very dedicated. 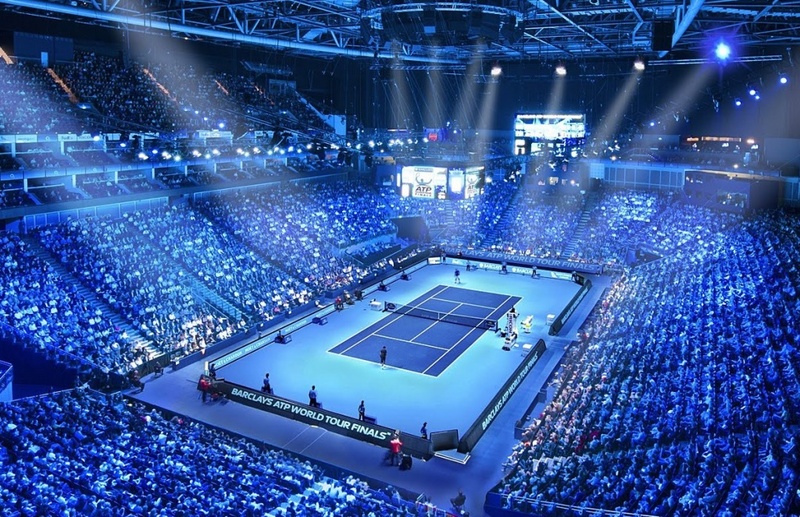 In addition to Murray’s match with Edmund, there will be another all-British match on Court One at the Nature Valley International on Wednesday. Cameron Norrie, 22, beat Germany’s Daniel Brands 7-5, 6-7 (4-7) 6-2 on Tuesday to secure a last-16 match against Jay Clarke. Clarke defeated American world number 58 Ryan Harrison on Monday – the 19-year-old’s first ATP Tour victory and first win against a player in the top 100. World number 79 Norrie has an automatic place in the main draw for Wimbledon while Clarke has been handed a wildcard entry. The tournament at the All England Club begins on 2 July. American Steve Johnson won his maiden ATP World Tour title at the Nature Valley International in 2016. This week, the 28-year-old has returned to the grass-court ATP World Tour 250 event, looking for his fourth title after back-to-back triumphs in Houston. In another edition of “On The Line”, an occasional question-and-answer series from ATPWorldTour.com, Johnson talks about why Davis Love III’s autobiography was such a hard read, the person he admires most and what he wants to do after his playing career. What’s your biggest passion outside of sport and why? I really love to golf. I like to spend a lot of time on the golf course, just walk around. It’s really peaceful and relaxing to me, and it’s just a fun way to get away and just have some fun and do something else other than tennis every once and a while. The Davis Love III autobiography (Every Shot I Take). It was a book given to me by a friend, with his circumstances very similar to mine, so it was a great book to read but also a tough one to read. It meant a lot. It was definitely tough to read but it was good. Your favourite book of all time and why? I really liked Outliers by Malcolm Gladwell. He puts everything into perspective, what you need to do, how you need to work, and how circumstances can really affect your status in certain areas of life… Nobody got to where they are, this high in life – Roger, Rafa – they didn’t get there by accident; they worked hard. It doesn’t matter if you’re a surgeon, doctor, lawyer; you spent the time, you hit it hard and you maybe had a few extra benefits along the way but you don’t get somewhere by chance. Person whom you admire the most? My wife (Kendall Bateman). She’s somebody that’s stuck with me on this Tour, through some tough times and some great times… I owe a lot to her. She’s always got my back regardless of the outcome, so for her to always be my side is really special. My tennis career will be a success if I ________________. My tennis career is already a success in my eyes. I’ve had some great memories. I just want to know that when I look back, I did everything possible in my power to maximise my game. And I feel like I’ve done that to this point, so if I can just keep getting better and better every day, whenever I do hang up the racquet and look back, I’ll know that I’m very happy with my career. After my tennis career, I want to _____________. I’d love to be the coach at USC (University of Southern California, where Johnson ended his career on a 72-match win streak). I’ve talked about it a lot with the coach there now, Peter Smith, who was my coach there. I said one day there will come a time when I’m ready to kind of kick you out, so hopefully he’s ready for that. Not right now, we got some time, but I love Peter to death. He’s a big reason why I’m here today. He’s like a second father to me. How does he feel about you wanting his job? He laughs. I think he knows I’m serious but he laughs. Hopefully it all works out and the timing’s great. But he’s been phenomenal for not only my career but so many others who have gone to USC. They’ve got a great team and a great program. I’m super happy for them. I love to get back to campus whenever I can and just watch them and just enjoy being on this side of the team atmosphere. British number one Johanna Konta cruises to a 6-1 6-3 win over Aleksandra Krunic in her Nature Valley International opener in Eastbourne. Wimbledon 2018: Is Juan Martin del Potro the man to challenge Roger Federer? Juan Martin del Potro is one of only three men to have beaten Roger Federer this year. By saving three championship points to win a testy Indian Wells final in a third set tie-break, Del Potro claimed his first ever Masters 1000 title. It also served as a reminder that when fit and rested, the popular Argentine is perhaps the man most likely to challenge Federer and Rafael Nadal’s recent Grand Slam hegemony. “Rafa on clay, and Roger on grass: it’s the toughest challenge for all the players on tour,” Del Potro told BBC Sport. At the 2009 US Open, aged just 20, Del Potro beat them both to win his sole Grand Slam to date. 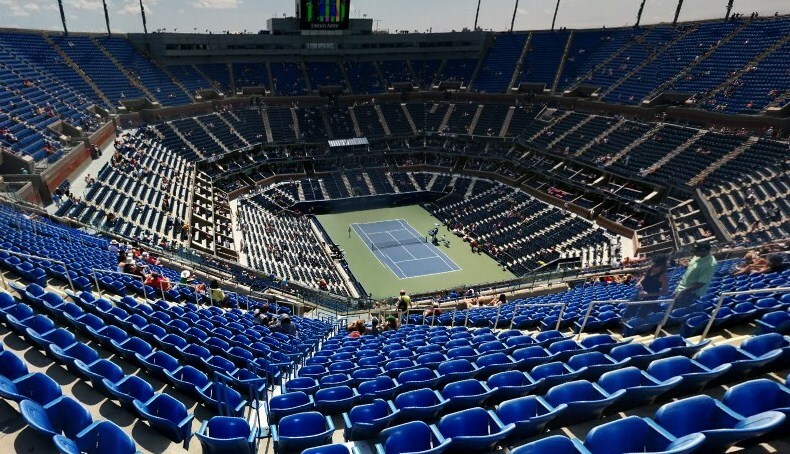 A straight-sets semi-final win over Nadal was followed by victory from two-sets-to-one down against Federer, who had not lost a match at Flushing Meadows since 2003. But just eight months later, Del Potro was undergoing right wrist surgery in Minnesota, and did not reach another Grand Slam quarter-final until 2012. The wrist was strong enough for him to contest the longest Wimbledon semi-final in history – a match of blistering power against Novak Djokovic in 2013. But there would be many trips to Minnesota still ahead. The left wrist was now the problem wrist, and Del Potro missed nine Grand Slam tournaments in a row as he underwent three further surgeries. The real Del Potro started to re-emerge in 2016. Victory in a three-hour-plus semi-final with Nadal at the Olympics Games in Rio guaranteed him at least a silver medal, and Andy Murray then had to be at his brilliant and stubborn best to deny him gold over four hours. Del Potro often looks shattered, but appearances – and that languid walk across the court – can be deceptive. He would go on to beat Murray over five hours in their pivotal Davis Cup semi-final rubber in Glasgow, and then recover from two sets down in the Croatian capital Zagreb to beat Marin Cilic and help Argentina to their first ever Davis Cup title. There was another victory over Federer to savour in last year’s US Open quarter-final, and then a run of 15 victories in the early part of this year as Del Potro won the titles in Acapulco and Indian Wells before reaching the semi-finals in Miami. The 6ft 6in Argentine was, by his own admission, exhausted. So he took a five-week break from the tour which he said can at times be stressful. “We have many good things on tour, but living in Argentina you must travel a lot,” Del Potro said. Del Potro likes to cook and to enjoy a traditional asado – barbecue – with friends and family when back home in Tandil, a town situated 245 miles south of Buenos Aires. “I like to be in Tandil, and this is my simple life. Probably my happiest moments are when I am with them, and also sharing moments with my close people,” he continued. The 29-year-old is also a practising Catholic and he was very upset by the theft of a rosary blessed by his compatriot Pope Francis. One of Del Potro’s suitcases had been stolen as he stopped to sign an autograph in Paris before taking a train to London for the 2013 ATP Finals. His faith, he believes, is a great help to him on court. The wrist surgeries mean Del Potro still cannot use his double handed backhand as consistently as he would wish, but he says he feels as if he might be in the best shape of his life this year. 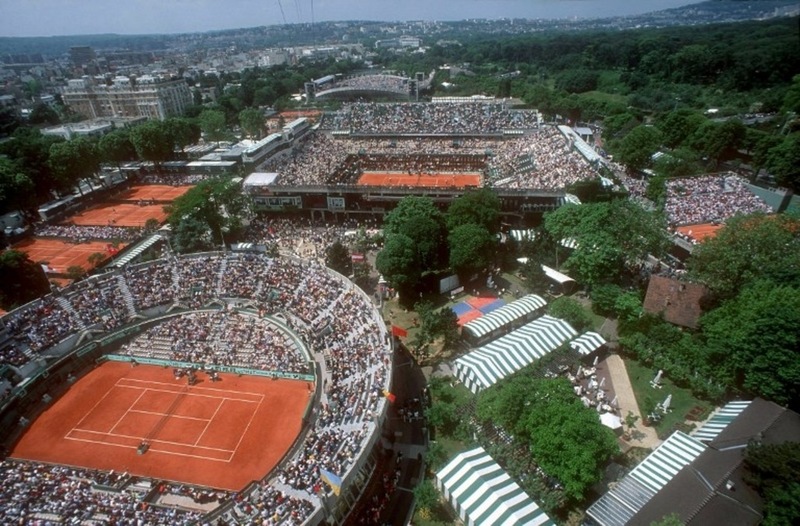 He is still surprising himself, and not least at Roland Garros, where he reached the semi-finals to match his career high ranking of world number four. “It is something special for me, for my family, for the people who were behind me all the time,” he explained. “I can get to semi-finals in Grand Slams in my worst surface, which is very important for my life, as well. And although the ranking is not my priority, when I’m so close to the first positions, it’s beautiful. He had a groin problem before Roland Garros, and pulled out of last week’s event at Queen’s to rest on doctors’ advice. It can only be hoped that this big, friendly giant with a huge wingspan is at the peak of his powers at Wimbledon, as his thunderclap of a forehand echoes around Centre Court. There would be very few more popular winners. After splitting two tie-break sets before play was suspended on Monday night, Robin Haase overcame fellow Turkish Airlines Open Antalya debutant Mikhail Youzhny 7-6(4), 6-7(5), 6-4 on Tuesday. Haase, a two-time tour-level titlist, dropped just three points on serve in the final set and secured a vital break of serve, in the penultimate ninth game, to progress. The World No. 44 will face Spain’s Guillermo Garcia-Lopez in the second round. Jiri Vesely scored his second win over third seed Fernando Verdasco in as many FedEx ATP Head2Head meetings, prevailing 6-3, 7-5 to reach the last eight. The 24-year-old reached his third quarter-final of the season after 77 minutes, winning 80 per cent of first-serve points. The Czech improves to 9-11 this season after falling to his lowest ATP Ranking (No. 106) in over four years on 11 June. Vesely will play Nikoloz Basilashvili for a semi-final spot. The Georgian beat eighth seed Dusan Lajovic 6-4, 2-6, 7-5 in one hour and 53 minutes. Diema Xtra Sofia Open finalists Mirza Basic and Marius Copil also made it through to the second round. Sofia titlist Basic defeated Paolo Lorenzi of Italy 6-3, 6-3 in 70 minutes, while Copil, the 2018 runner-up in the Bulgarian capital, fired 11 aces en route to a 6-4, 7-6(5) victory over home favourite Cem Ilkel. Second seeds Max Mirnyi and Philipp Oswald booked their spot in the quarter-finals, edging Federico Delbonis and Miguel Angel Reyes-Varela 7-6(2), 7-5. Mirnyi and Oswald, who lifted titles in New York and Houston earlier this year, progressed after one hour and 34 minutes after saving six of eight break points in the first-round encounter. Andres Molteni and Hans Podlipnik-Castillo cruised past Tuna Altuna and Konstantin Kravchuk 6-4, 6-2. 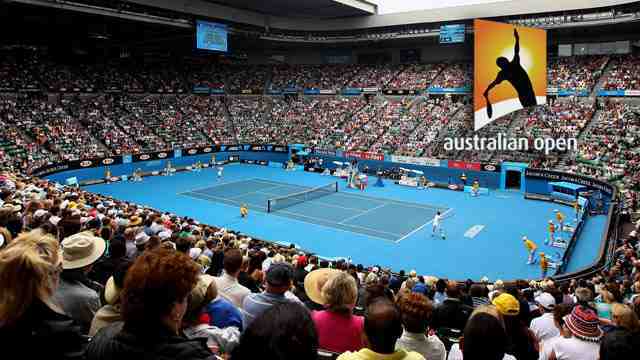 The fourth seeds converted 100 per cent of their break point opportunities (4/4) to advance after 58 minutes. Radu Albot and Guido Pella needed a Match Tie-break to confirm their quarter-final place, overcoming Antonio Sancic and Andrei Vasilevski 7-6(5), 2-6, 10-8. Guillermo Garcia-Lopez and Joao Sousa defeated Turkish wild cards Koray Kirci and Ergi Kirkin 6-3, 6-4 in 67 minutes. Mikhail Youzhny, who celebrated his 36th birthday on Monday, is just three wins shy of reaching 500 match wins at tour-level. Yevgeny Kafelnikov, with 609 wins, is the only Russian to reach the milestone. Coverage: Watch the women’s tournament live on BBC Two, BBC iPlayer, BBC Red Button, Connected TVs, the BBC Sport website and app and follow the men’s on BBC Radio 5 live sports extra and the BBC Sport website. Andy Murray continued his competitive return to action with an impressive win over fellow three-time Grand Slam champion Stan Wawrinka at Eastbourne on Monday, setting up a second-round meeting with his successor as British number one, Kyle Edmund. In his regular BBC Sport column, the 31-year-old Scot talks about playing Edmund, his form in the early stages of his comeback, how the swimming pool is helping his recovery, and former coach Amelie Mauresmo’s appointment as France’s Davis Cup captain. I am a little bit surprised at how well I’ve played so early in my comeback because I don’t feel like I’ve practised loads – not like I would have done in the past in the build-up to events. The positive to that is I don’t necessarily have to practise for three hours a day before events like I would have done in the past – feeling like that is what I had to do to perform well. Maybe that’s not the case now. Maybe I can rest my body a little more. The movement is the most important thing I need to work on because all the guys who are playing at the top of the game can hit the ball extremely well. In my first match back against Nick Kyrgios at Queen’s I was a little bit apprehensive with my movement, but the second match against Stan was a little better. But I still think that can improve. I wasn’t feeling great in the 24 hours after the match against Nick. I had soreness in the hip and stiffness in the lower back and the glutes. On the grass, the ball stays lower so you’re bending down to a lot of balls, meaning soreness and stiffness would normally be the case after the first match on the surface, even if I’d been playing regularly. But it was multiplied because it was my first match in such a long time. My shoulder was also a little bit sore because it was the first time I’d served for a long time too. It was just general body soreness, but after 48 hours I felt fine. The day after a match last year I would have hit the following day, but after the match against Nick I was in the swimming pool, had a bit of massage, then spent an hour and a half with my physio. I’ve been doing more in the pool recently and been doing that before matches too, getting in the pool to loosen up a little bit. That is something new that I haven’t done in the past. I do aqua-jogging, stretching, different movements – leg swings and hip swings, no loading or impacting, trying to get the body moving again. In terms of playing Kyle on Wednesday, he’s a brilliant player – that’s the challenge, not because he’s a fellow Brit. I played Tim Henman a few times when I was coming up, and Kyle a couple of times, but it is more the challenge of playing a really good player rather than someone who I know pretty well. In the past 12-18 months Kyle has done fantastic things and is improving all the time. I think he is playing better grass-court tennis than he had done in the past so it will be tough. The atmosphere will probably be different because the crowd won’t necessarily want one particular player to win, they want to see a good match and will support both players. I think it is good that Amelie Mauresmo has been appointed as captain of France’s Davis Cup team. Certainly it was a big story when I was working with Amelie but ultimately you hope that female coaches working with male players is seen as normal. I’m still being asked about it because it hasn’t quite got to that stage. There is a long way to go. But there is absolutely no reason why someone of Amelie’s stature and ability, and what she has achieved, cannot help male players. She certainly helped me with lots of things. I’m sure it will happen more in the future – she will do a good job. Amelie has got a nice way about her, communicates well and that supports that team environment. Obviously tennis is largely an individual sport but when you come together for the Davis Cup and Fed Cup the captain has to keep everybody happy. That is not always easy but I think she has the skills to do a good job in that respect. I know she loved playing the Fed Cup herself so she will be passionate about competing for her country. Andy Murray was talking to BBC Sport’s Jonathan Jurejko.